Hey there! 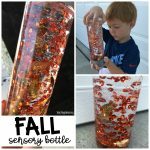 I have a super simple sensory bottle to share with you all today. 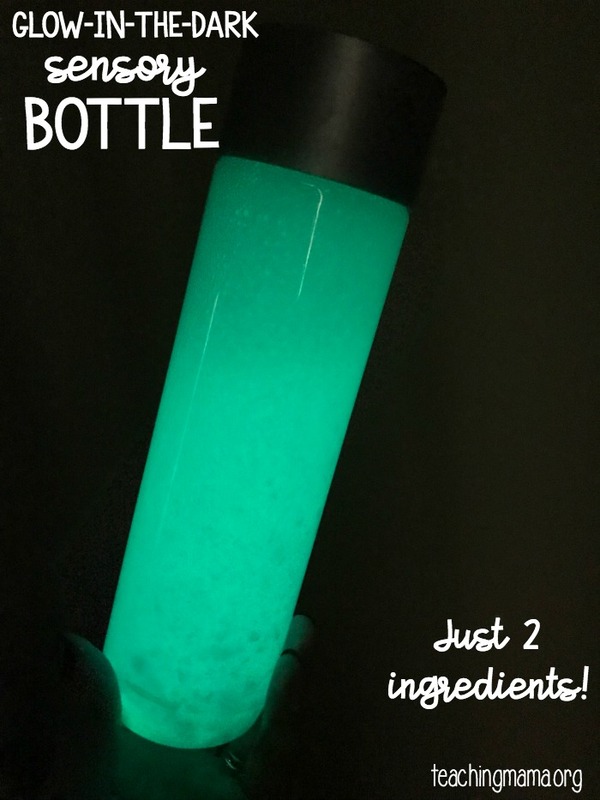 In fact, this glow-in-the-dark sensory bottle only needs 2 ingredients! 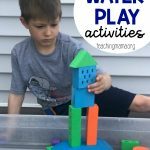 You can make it in just a few minutes for your kids to play with. 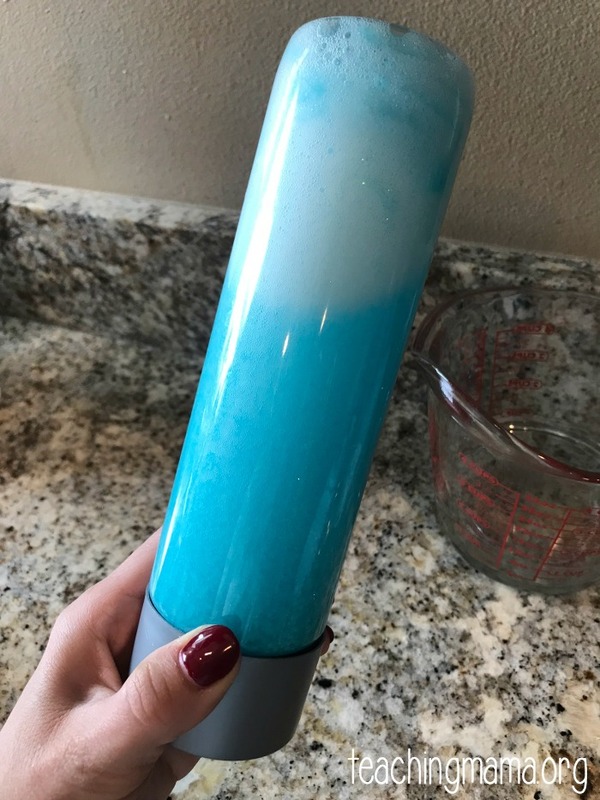 To make this, begin by squeezing the glue into the empty water bottle. Then, heat about 1 cup of water in the microwave or on a stove. Make sure it’s pretty hot, but not too hot that it would melt the plastic bottle. I heated mine up for 1.5 minutes. Then pour the hot water into the bottle. Make sure there’s a little bit of space left at the top of the bottle. Screw on the lid and shake it up for a few minutes. 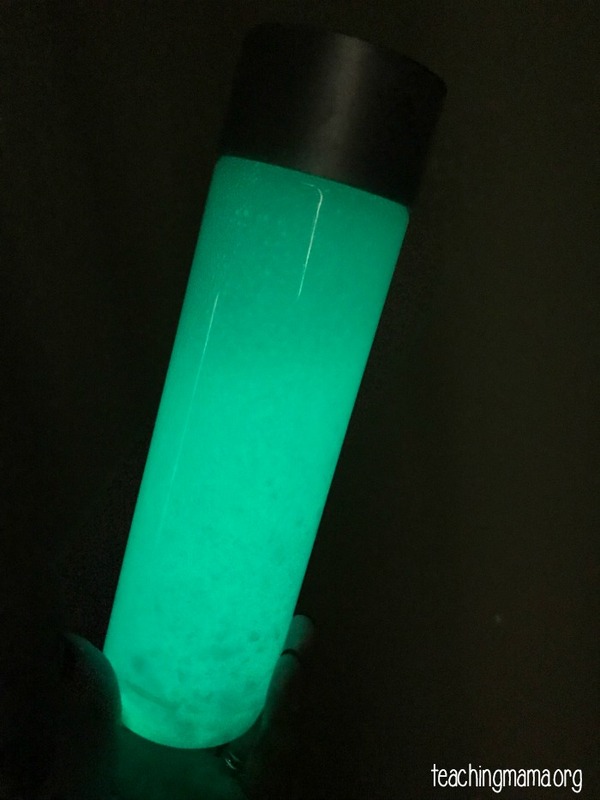 You can take the bottle right into a dark room and see how it glows! 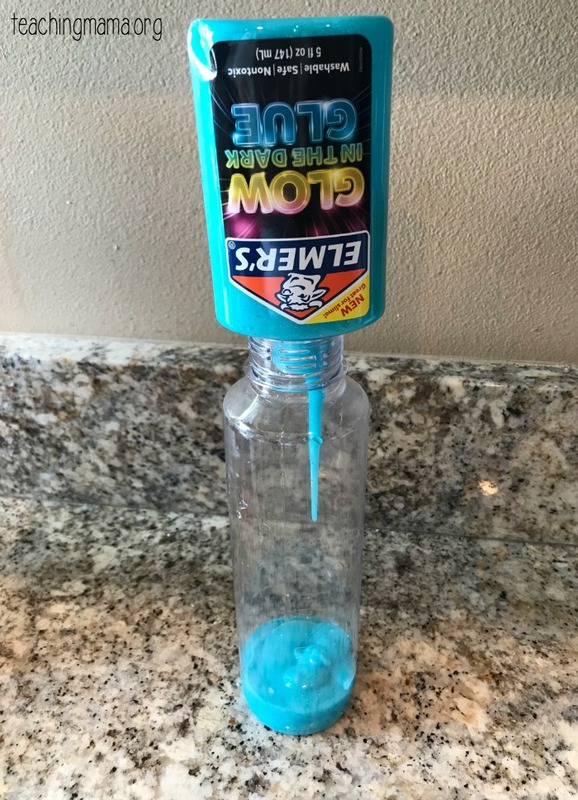 The bottle recommends leaving the glue in light for two minutes before taking it in the dark. We found that it worked really well and we didn’t need to let it sit in the light for very long. 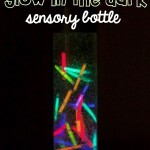 This would be a fun bottle for your child to shake and play with the dark. 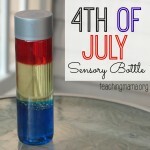 Or I think it would be fun to have on the 4th of July! There are other colors of glue, which I hope to try out soon! 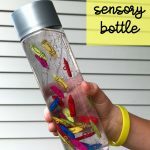 And you could also add some beads or other objects to the bottle. 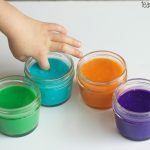 3 Sensory Activities Toddlers Will Love! Oh my I’m sure the kids would love this! It’s so easy to make and I’m sure they’d go nuts playing with it in the dark. Thanks for sharing this, Angels. Cheers! Did you use the whole bottle of glue? If not, how much of it?